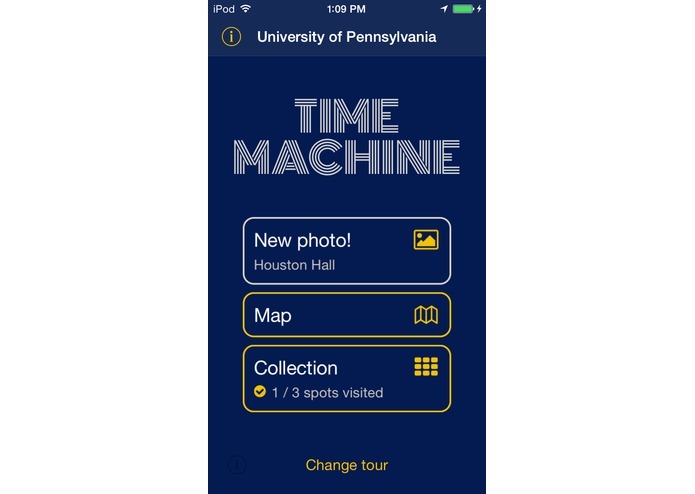 The Time Machine App is a walking tour that takes amazing historical photos out of a museum and library archives and into the real world. 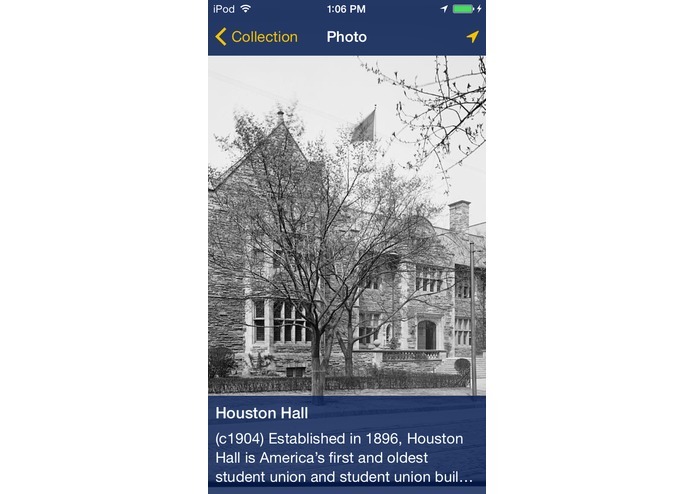 It allows the average user to see history in a completely new way - right in front of them. 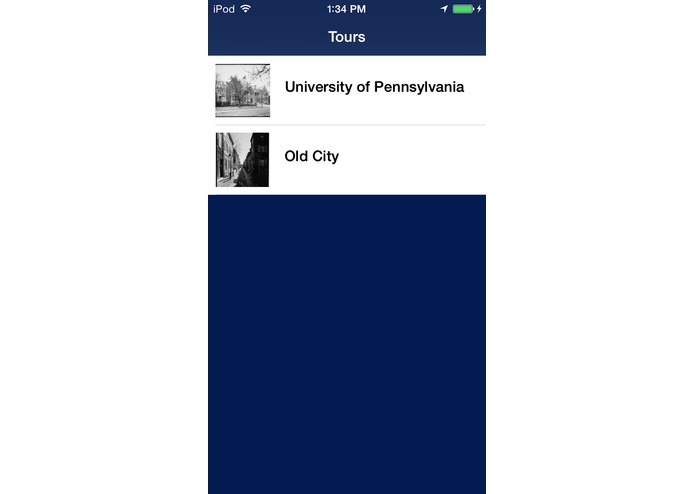 The app currently features two tours - University of Pennsylvania and Old City, Philadelphia - featuring photos of campus and historic buildings taken as far back as the early 1900s. 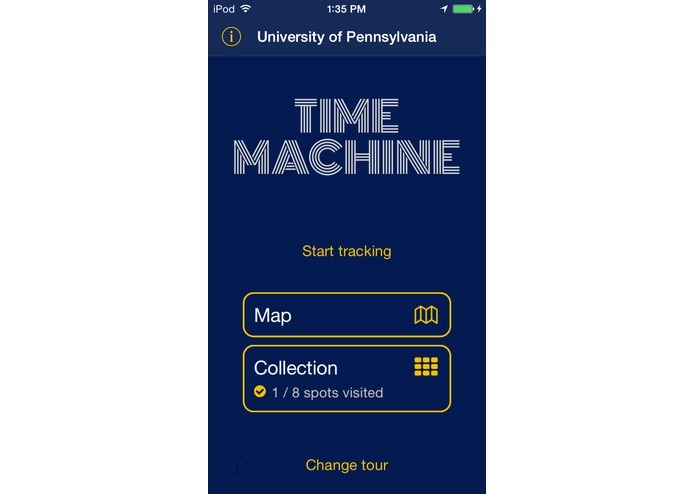 Time travelers can use this app to discover something completely new about the University of Pennsylvania's campus or learn a new fact about a building they've passed a million times. 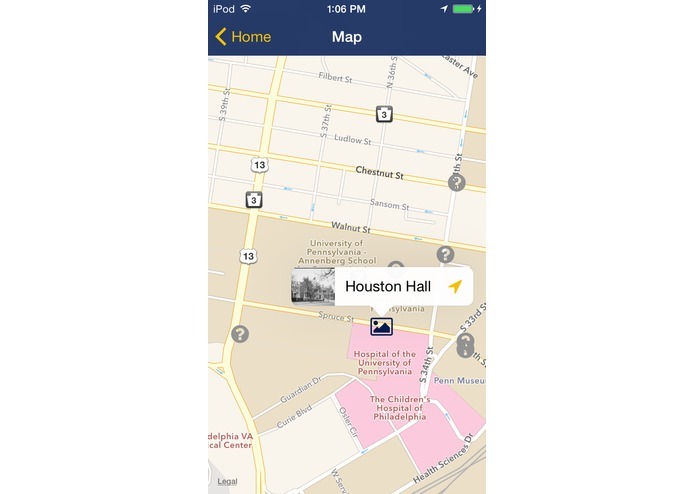 Each stop on the tour contains a photo and brief description of a historical building. 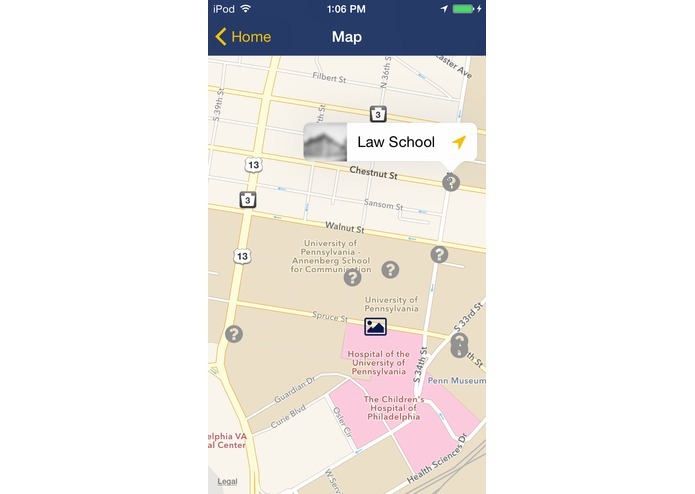 Locations are blurred out until they are visited, encouraging users to actually go out and visit the locations. 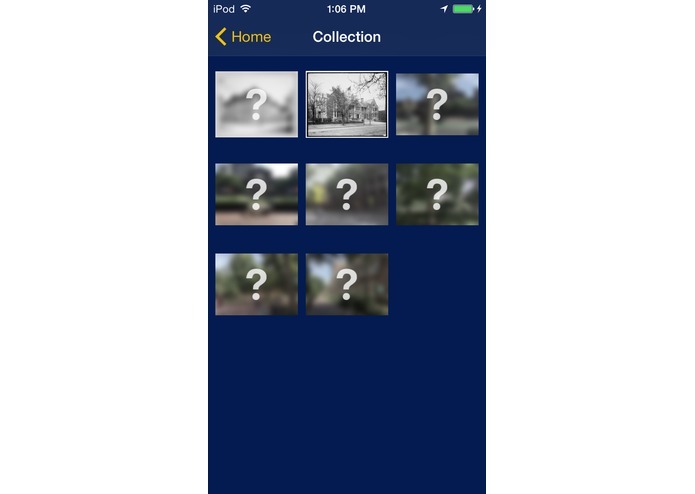 After the user visits the stop, the photo is available in the collection on their home screen. 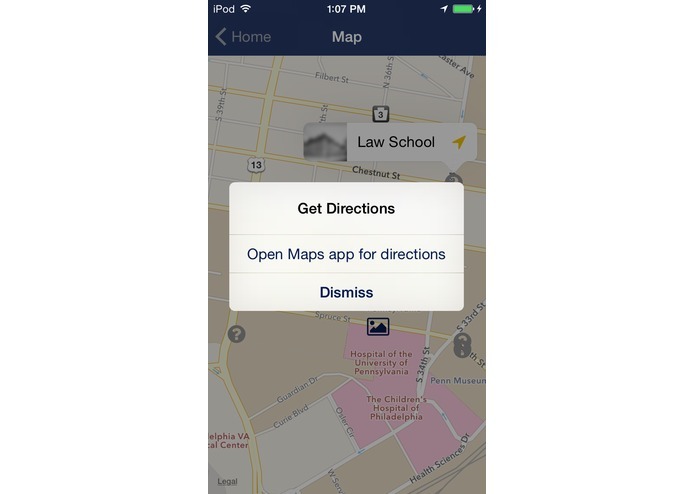 This app integrates with Apple Maps and ensures that users have access to step-by-step directions to every location. 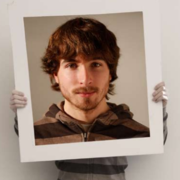 Eventually we will have enough tagged photos to have year by year directory. 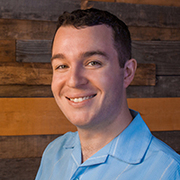 Then you will truly be able experience the past in a way that was impossible before the mobile age. Over the next few months, we already have plans to unveil new tours around the Philadelphia region. There are many more features we want to add, but this prototype allows you to experience the concept and see it's potential. Soon, time travel will be so easy, anyone can do it.